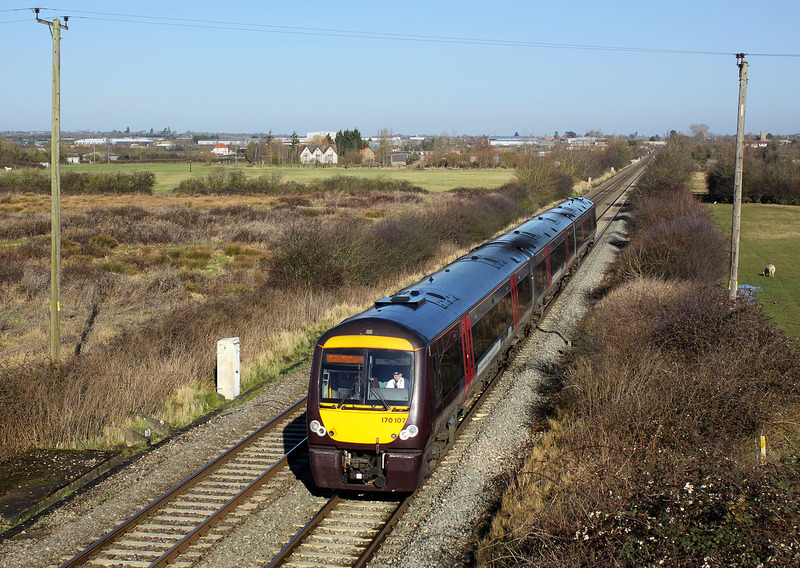 170107 passes Claydon on 17 February 2015 with the 1V06 09:10 Nottingham to Cardiff Central CrossCountry service. Surprisingly, this location has not become noticeably more grown up in the time that I have been taking pictures. Unfortunately however, the same cannot be said for the view from the other side of the bridge!